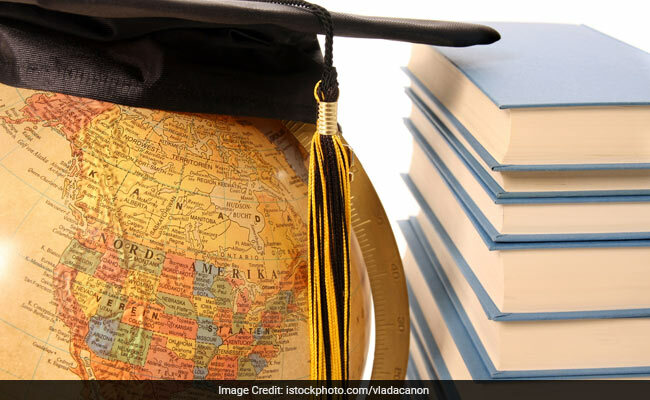 NDTV talked to Muzzaffar Ahmed, Counselling Expert at Abroad Solutions India, and he listed out 5 important points for all those aspirants who want to pursue their higher studies abroad. It is that time of the year again when students can give wings to their dream of studying at a college/university in a foreign country. Students, who are planning to pursue an undergraduate course or a post graduate course or doctoral program in a foreign university, must prepare themselves for getting them ready for fulfilling the dream. You must be searching for a road-map on how to get ready for with your final application. 1. Every country follows their own education system. Typically there are two; European and American. While planning for the desired destination one must understand the value system of the education system there. US education system focuses on not just your educational achievements but your personal approach towards different subjects as well whereas the European education system demands a great deal of subject knowledge irrespective of the other factors. 2. The language proficiency is a major concern when one plans to study abroad. USA, Canada, UK, Australia, New Zealand: all share English language and therefore IELTS is widely accepted language proficiency test for the aspirants of these countries. TOEFL is accepted too in USA widely other than IELTS, and PTE is subjected to Australia and New Zealand regions only. There are certain other qualifying parameters too; GMAT for MBA, and GRE for Master Studies. SAT can also not be ignored when planning for undergraduate education in USA. But when we talk about Europe then almost every country has their own language. Germany, France, Italy, Spain, Sweden, and Austria to name a few. In these countries they offer English program too but not much. Generally they ask for language proficiency in their own language other than your education qualification. 3. Finances are the major factor. Studying abroad can be a costlier challenge. That is why one must possess adequate funds and sometime source of funds too for this. In some countries the education is free but still there are expenses like accommodation, food and other miscellaneous expenses. Some countries are very particular about this. New Zealand does not tolerate if your funds are newer than 6 months whereas USA is not bothered about this. So, plan accordingly. 4. Climate is the most diverting factors and this is one of the major reason of drop-out by international students. So, when planning for Canada then get the right information about climate and opt the right options suiting your health. 5. Economy is to be considered as the most important factor after the completion of education. If the economy is not good then one might not have good job prospects there. This is the key factor in PR (Permanent Residency) policy. So, considering this will be the wiser suggestion.